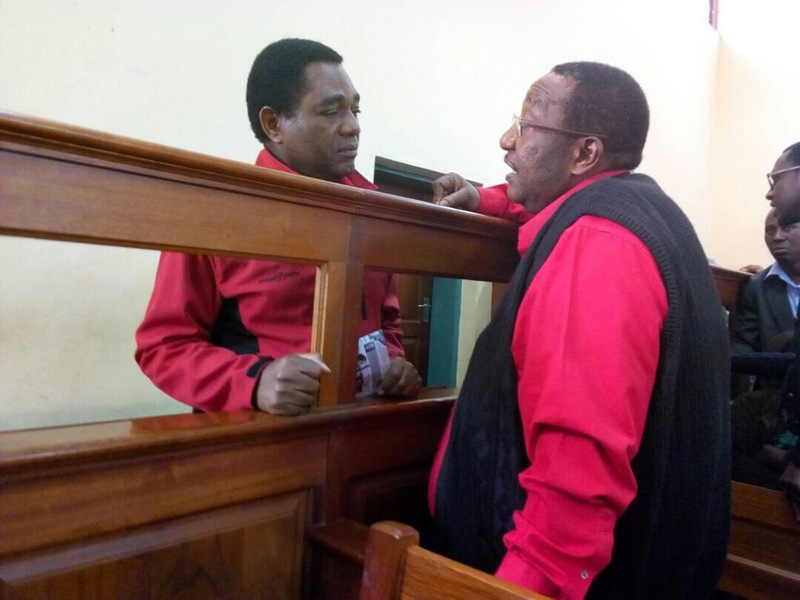 A ‘hired’ witness has told the Lusaka Magistrate court today that UPND Vice President Geoffrey Mwamba committed an offense when he used a figure of speech that he ‘will go for Lungu’s throat. Selestin Mukandila, who is a lawyer, claimed he felt the life of Edgar Lungu was in danger when he heard the ‘threat’ on radio. This is one of the many frivolous cases that Edgar Lungu and his PF have heaped on opposition leaders following the 2016 disputed presidential election. In this particular matter Mr. Mwamba is alleged to have threatened to go for Lungu’s throat. Mukandila told Lusaka Magistrate Tandose Chabala that he took the statement serious because Mr. Mwamba is not an ordinary politician but Vice President of a political party. He further testified that upon listening to Mr. Mwamba on radio, he informed PF Deputy Spokesperson Frank Bwalya who of the development. Bwalya later lodged a formal complaint to the police. Asked of how he knew that the suspect was referring to Lungu, the witness stated that Mr. Mwamba said he will ensure Lungu is removed from State house. The matter has since been adjourned to the 14th of August for continued trail.